Teaching Authors--6 Children's Authors Who Also Teach Writing: Book Giveaway! 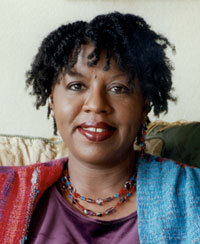 Guest Teaching Author & Poet extraordinaire, Nikki Grimes! My daughter is a new middle schooler. I can't wait to pick up this book for her. Thanks for the interview. Great interview! Thanks for participating in Poetry Friday this week! What a beautiful interview. I have to confess that I have not read any of Nikki Grimes' works yet - which I now think I have to remedy STAT - she appears so multi-talented and such a versatile artist. "Emphasize the idea of painting a picture with words. That is a truer understanding of the heart of poetry, I think." This captures how I feel as well about poetry. This is such an enriching post. Thanks for this great interview, April. I love Nikki's writing exercise. I may share it with my critique group this weekend. 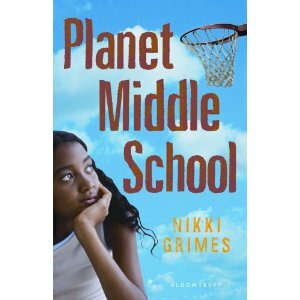 I'd love to win Planet Middle School because the moment I read the title, it transported me back to childhood, when school really seemed like an complete universe. Thanks for posting this, Anastasia! And g'luck to Laura (on behalf of your new middle schooler, Myra (I absolutely agree about rhyming...I think especially for young writers, it can take them off track), and Megan Frances (Oh,yes...school really was a complete universe then...)! That was a wonderful video clip - something about Nikki's voice is just so soothing and engaging. I'd love to win Planet Middle School because I live in a planet middle school - as a sixth grade teacher. 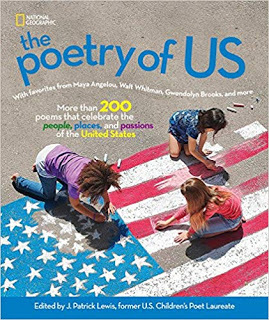 It's hard to find poets and poems that truly "get" this tumultuous age, and I'd love for my kids to have a chance to do so with Nikki's newest book. What would I like to see more of? Interviews and videos - to know more about the writing life. Tara ~ Thanks so much for asking for more interviews and videos--very helpful. And may the luckiest contestant win! I would love to win this book so that I could share it with my nephew that is struggling at a new middle school. I have enjoyed some of her other works. 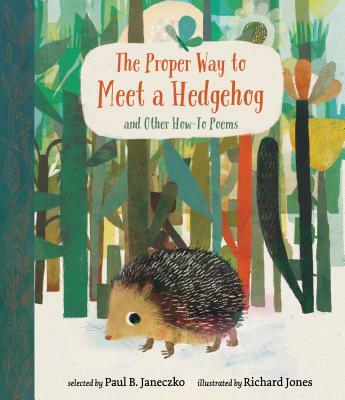 I would also like to add it to my classroom library. Thanks for the giveaway. Renee--whether or not you win, there are lots of life-changing or just diverting middle school books out there for your nephew--I hope you'll ask a teen librarian or bookseller for suggestions based on his interests. He's lucky to have you in his corner. Stephanie, here's to building your classroom library--thanks for stopping by! 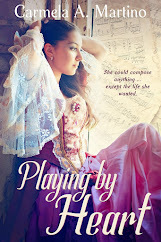 I really loved reading Nikki Grime's favorite writing activity and her personal stories! Keep 'em coming! Hi, When I entered middle school I sometimes felt as though someone had drop me off in OZ and I wanted to go home. 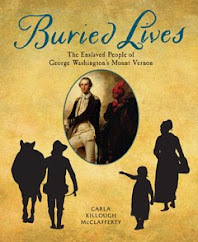 I would like this book because my niece is in middle school and this would be a great book for her to read. If possible, one interview I'd like to read is from a publisher or publishers. Melissa--thanks for the vote to keep more writing activities and personal stories! And Pam--since we're TeachingAuthors, our plan has always been to interview only other authors who teach...perhaps we'll see if there's a way we can tie in a publisher to our theme. Thanks for the suggestion. This poetry exercise will be a spark for my poetry group. And having just returned from a book festival where no one was in my signing line (so that means I had no line at all) at the author's table, I love & am lifted by Nikki's tenderness to other writers. I'm not entering to win because I read the posts of individuals who have specific young people or schools where it seems this wonderful middle school new relese is tendended best to go. 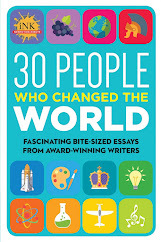 As for suggestions on future topics, this may have already been covered but it might be fun to see a series of posts on the connection between the other arts & writing. As Nikki said, she puts soft music in the background of her workshops. So posts linking our world of wrting & some of the visual arts. One of my favorite inspirational books that boosts my writing process is by the amazingly talented & legendary dancer/choreographer, Twyla Tharpe: THE CREATIVE HABIT. (I am always learning much from other disciplines.) In this book, she talks about how Maurice Sendak is part of her support system. Many thanks to Teaching Authors for fascintating & supportive posts. Jan ~ yours may be one of the most generous comments we've gotten--ever! Thanks especially for your topic suggestion--that'll give us something to chew on! Why would I want to win this book by Nikki Grimes? Think Wizard of Oz...Because, because, because, because, because *hold the note* Because of the wonderful things she does! Everything she does is a long time fave of mine- how can this book be any less? I'll read, then share with every MS relative and friend, then recommend (I have no doubt) in my workshops. Have I missed it, or how about sharing some specific examples of ways crit partners have noted things on your work that "turned you around" or opened your eyes to what you were really writing. Lots say they want crit groups, but heisitate because they don't know what a crit team does- to your work, and for your writing. And keep up the great interviews. Sandy ~ Thanks for the song and the laugh! And especially thanks for your suggestion about to share more explicitly on how our critique groups work...great idea.